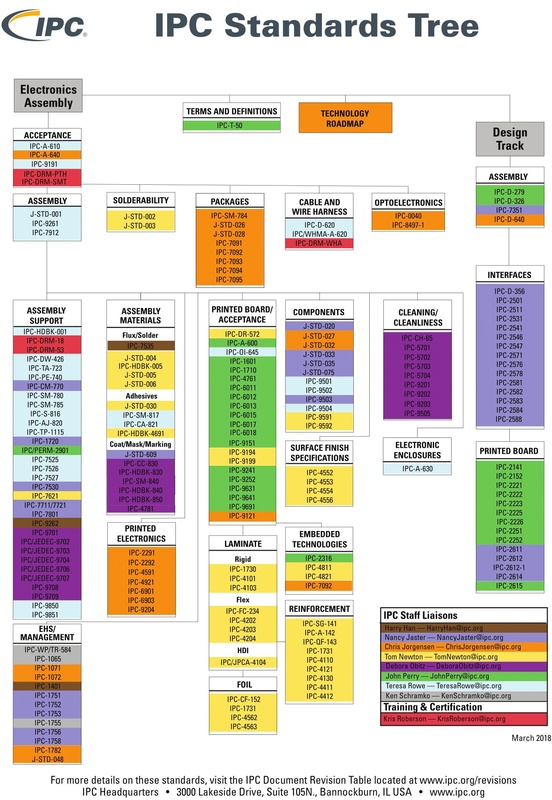 The IPC standards chart (or tree, in some circles) provides guidelines for the production and assembly requirements of electronics manufacturing companies. Each “code” on the tree is a standard or document outlining the guidelines or requirements for building an assembly. The company behind the standards was founded in 1957 as the Institute for Printed Circuits. The organization has changed its name numerous times and is now known as "IPC -- Association Connecting Electronics Industries." The IPC holds the most widely used standard for acceptability in the equipment and assemblies industry. The American National Standards Institute accredits the IPC as an organization trusted to develop global standards. It’s key that your electronics manufacturer is well versed in these international standards. Below you’ll see a graphic representation of how these standards play off each other. OEMs (like you) and contract electronic manufacturers (like us) in the United States use location-specific standards to test trainers. Currently, more than 3,600 trainers use the IPC standards chart. Aside from development and training, one of the most important reasons to use the chart is to ensure a certain level of ROI from development efforts. This is especially important for OEM parts, which are held to a higher standard from a consumer viewpoint as well. With IPC US standards, there is no room for interpretation among vendors in terms of product safety or utility. Keep up on recent revisions by checking out this IPC standards revision list. To get specifics on each standard, use this IPC checklist. As a consumer, doing business with companies that have committed to IPC gives you a crystal-clear benchmark. Standards are also divided into classes to give an even more precise definition of these benchmarks. 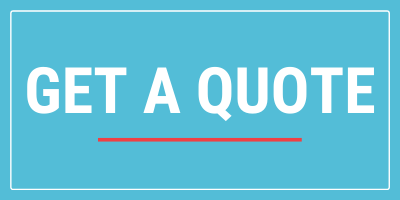 If a customer wants their assembly manufactured to IPC Class 2 or 3 then any and all of these standards may be referenced for method, acceptability, testing, etc. IPC-A-610, the acceptability standard for PCBs. It gives target, acceptable and rejectable conditions for solder, component damage, etc. Don’t do business with a vendor who’s not playing by the same rules as the good ones!